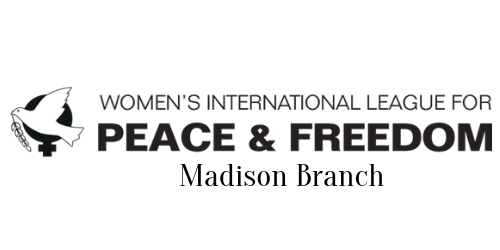 The Madison Branch was founded in 1922. Each decade since then we have fought tirelessly for the peace and freedom of our communities. Early work included a series of radio programs on various issues on WIBA during the 30s. In 1933, Madison and Milwaukee branches, working together, succeeded in making ROTC optional at the University. And in 1938, after years of effort by all the U.S. branches and cooperation with other groups, a prime success was the passage of the anti-lynching law. 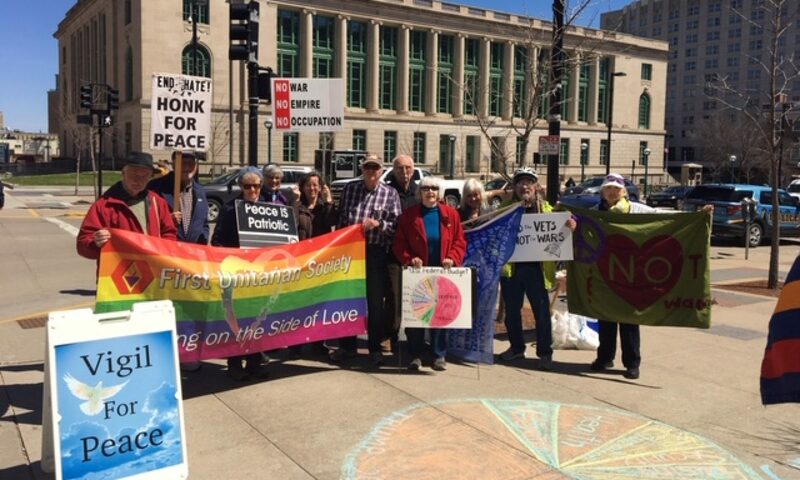 In the 50s we worked to combat McCarthyism, and in the 60s we campaigned against the Vietnam War. We have stood steadfast for human rights in all forms, fighting for women’s liberation, LGBTQ and racial equality, civil liberties, and against oppression in Central America (even while the US aided oppressive governments). In the 90s we saw an unprecedented rise in corporate power and attacks on the social safety net programs of the 30s and 60s: Social Security, unemployment compensation, Medicare, welfare, etc. that continues today. The turn of the century has brought us further war, mass dislocation, environmental damage, and economic upheaval. WILPF recognizes that now the time is more urgent than ever to stand up for the justice, equality, and peace for all citizens across the globe. The Madison Raging Grannies, a project of the Madison Branch, first sang to the crowds of Madison anti-war protesters in the fall of 2003. The annual Jane Addams children’s book award, to promote peace education. The Clothesline Project, which in a manner like the AIDS quilt offer support and relief to women and girls who are victims of sexual assault.